Newspaper Rock: Will stories in stone disappear? Newspaper Rock in southern Utah is one of many ancient rock art sites in the area. 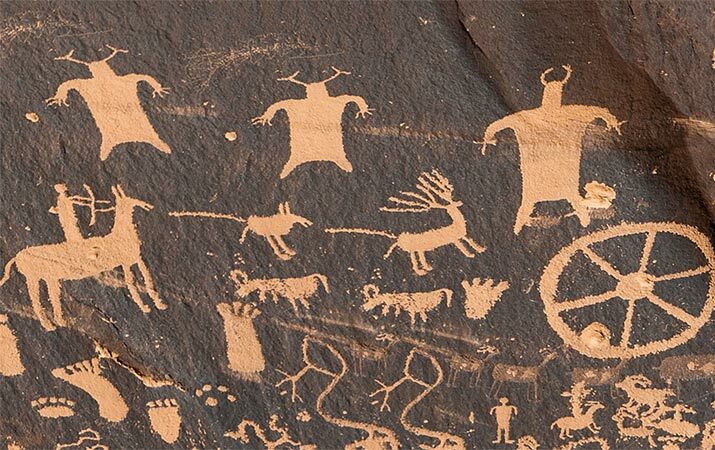 Rock art has real appeal for kids, from circles and squiggly lines, to human forms, footprints, and animals such as big horn sheep and horses.